Notwithstanding the environmental issues such as global warming and climate change being tied to the production and use of fossil fuels, gigantic oil spills such as the Exxon Valdez spill and Deepwater Horizon well blowout in the Gulf of Mexico have opened a “Pandora’s Box in regards to the downside of oil and natural gas. This is only part of the entire problem, however. In many countries, particularly the USA, a controversial technique known as fracking is now being used extensively to bring oil and gas deposits out of shale and other underground geological formations. Fracking involves the use of inserting a high pressure mixture of water and chemicals into underground formations to free trapped oil and natural gas to the surface. While more certain than “hit or miss” drilling into geological formations, fracking is much more environmentally damaging to underground, as it involves the use of large amounts of water that contributes to drought in the areas where the fracking is being done. The tremendous amount of pressure used as well as a continuous pounding force also results in disturbance of the subterranean formations,causing numerous “mini earthquakes”, as well as noise pollution above the surface. 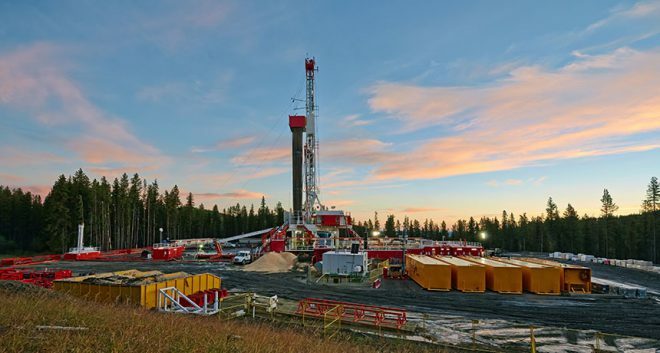 Fracking is also a costly production method involving the use of very specialized drilling rigs and equipment; and as a result is very much affected by the local and international market price of crude oil and natural gas. Despite the costs and environmental concerns, fracking appears to be one of the most successful ways to bring up oil and natural gas deposits. Even oil producing countries in the Middle East have now begun to use this method including Saudi Arabia, Bahrain and the UAE. The UAE is becoming so interested in using fracking that Abu Dhabi’s national oil company ADNOC has taken the lead by embarking on a big fracking project to extract natural gas its subterranean shale deposits. Fracking in previous oil rich Mid East countries may be an indicator that their oil reserves available to be extracted by simply drilling into the earth may be now at a much lower level. With underground water reserves being a record lows, the large amount of water required for fracking will most likely have to come from desalination plants; resulting in even more expense as well as environmental damage. With use of fossil fuels already top issues by environmentalists as being a prime cause of climate change and global warming, the added issues of fracking only confirms that investing in oil and even natural gas is not good for those really concerned with the future environment of planet earth. Next Next post: What Happens if the Father Refuses to Sign Birth Certificate?